Sportsgirl are pioneers in providing a modern look, casual feel, and lively vibe in young women's fashion. The label built a niche for itself catering for women who wanted the latest fashion trends from overseas at more affordable prices. It rose to the top of the Australian fashion industry during the 1960s, being one of the first fashion labels to introduce the concept of lifestyle fashion boutiques for fashion retail. Today, it continues to be one of the leading brands in Australia, thanks to its culture of creating and selling unique, lively products for equally unique and lively women. Its seasonal lines and fashion staples evoke a sense of energy, dynamism, and positivity. You will find the latest, most modern cuts, prints, styles, colours and materials at Sportsgirl. Even the classic pieces, which have become iconic for the brand, are revamped from time to time, to ensure their relevance in the modern fashion scenes. 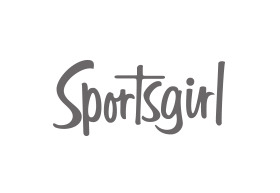 The Sportsgirl store at Chadstone is your destination for women's clothes, accessories and cosmetics. Located on the ground level, it is within easy reach to the car park A.